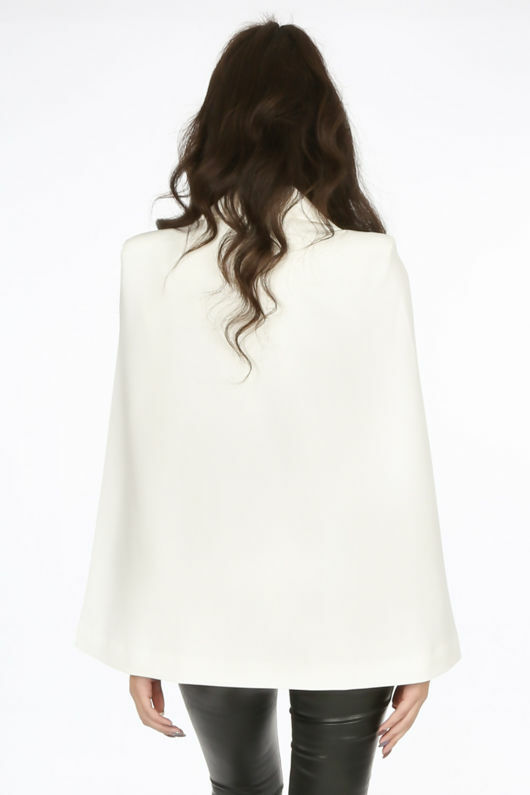 Tailored pieces like the White Belted Cape Blazer are no longer just for your 9-5. 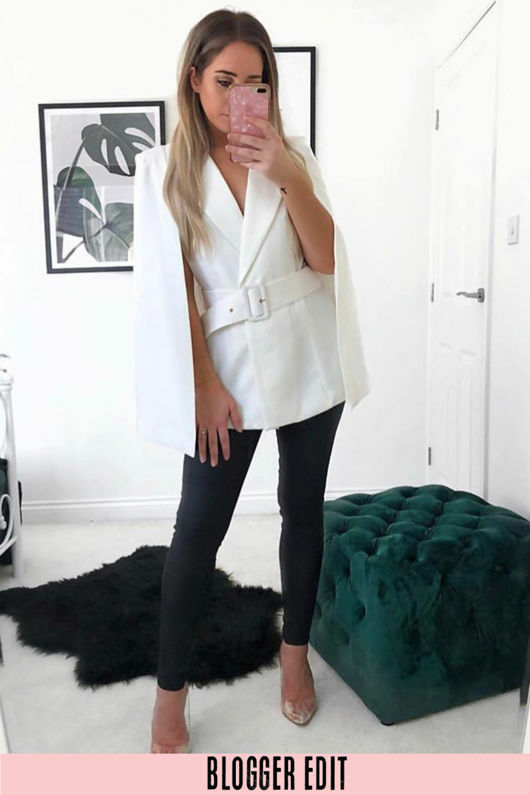 The classic blazer has a modern twist in this caped staple piece, featuring a matching buckle belt tie. Suit up and style with a pair of tonal tailored trousers and some strappy heels for a timeless look.